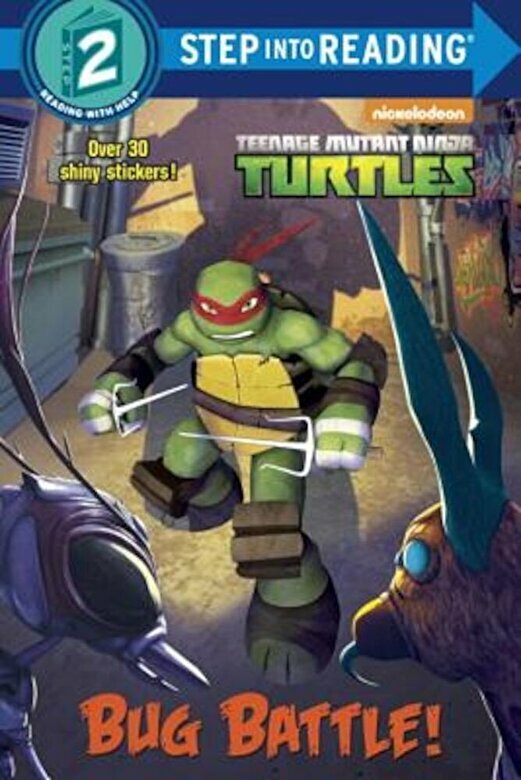 Prezentare The Teenage Mutant Ninja Turtles face off against Stockman-Fly's new insect minions Can Raphael overcome his fear of bugs and help his brothers? Boys and girls ages 4 to 6 will love this Step 2 deluxe Step into Reading leveled reader that features over 30 shiny stickers. Step 2 Readers use basic vocabulary and short sentences to tell simple stories. For children who recognize familiar words and can sound out new words with help.